← What does it mean to bless God? This entry was tagged Christianity, Examen Prayer - practice in meditation and prayer, free examen prayer apps, how can I connect better with God?, how can I stay focused when I pray?, Ignatius of Loyola: Spiritual Exercises, Joshua 1:8; Psalm 1:2, Prayer Like You Never Experienced It, what are the suggested prayer points in the Examen Prayer?, What is an Examen Prayer? (Pastor Cliff Purcell). Bookmark the permalink. I had never heard of prayer by this name before, but the concept is similar to the A.C.T.S. method — Adoration (of God), Confession (of sin), Thanksgiving, Supplication. 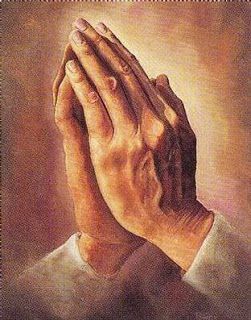 Anytime we can slow down and focus on different aspects of prayer is so beneficial to our relationship with the Father. Yes, the A.C.T.S. prayer does sound similar. And I agree, slowing down and being intentional about connecting with God through different prayer points is a huge benefit to our relationship with Him. Thanks for your comment! Thank you, Zadi. Blessings to you!